An initiative of Credit Union Eemsmond in cooperation with FRH’s member Stichting Oude Groninger Kerken. FRH member Stichting Oude Groninger Kerken approached the Credit Union Eemsmond with the idea to support a special educational program for the youth at primary schools by creating a Picture book ‘The Church as a Time machine’. The book shows the history of churches in twelve periods through the ages, from the empty mound to the multi-functional church. The drawings, colored with paint, were made by artist Stefan de Keijser. Each drawing has its own atmosphere, fitting the time. Various historical elements are highlighted in an informative and humorous way in the texts by Martin Hillenga. The design of the book is by Jelle F. Post. With this project, the Credit Union Eems Region is investing in the region’s youth, hoping they will gain more knowledge of the unique characteristics of their environment, so that they identify with it and their pride in this area will be stimulated. 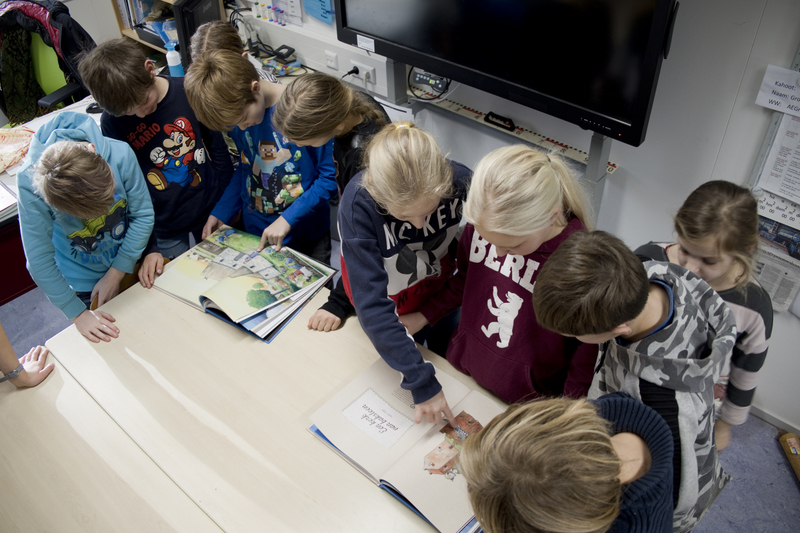 With this action, all schools in the four municipalities in the Eemsregion get the chance to enjoy the picture book and to start working with educational projects. The book was launched in December 2018, and two books were donated to every school in the four municipalities that comprise the area of the Credit Union (Delfzijl, Loppersum, Eemsmond and Appingedam). This is not only a gift for the schools, but also for the Stichting Oude Groninger Kerken, who took the initiative for this edition. On Friday, January 18, chairman Fred Bagnay together with employees of the Stichting Oude Groninger Kerken visited the four schools to personally hand over the books. This concerns the following schools: OBS Jan Ligthart, OBS Hiliglo, BSc. R.J. Damschool and OBSAbt Emo. 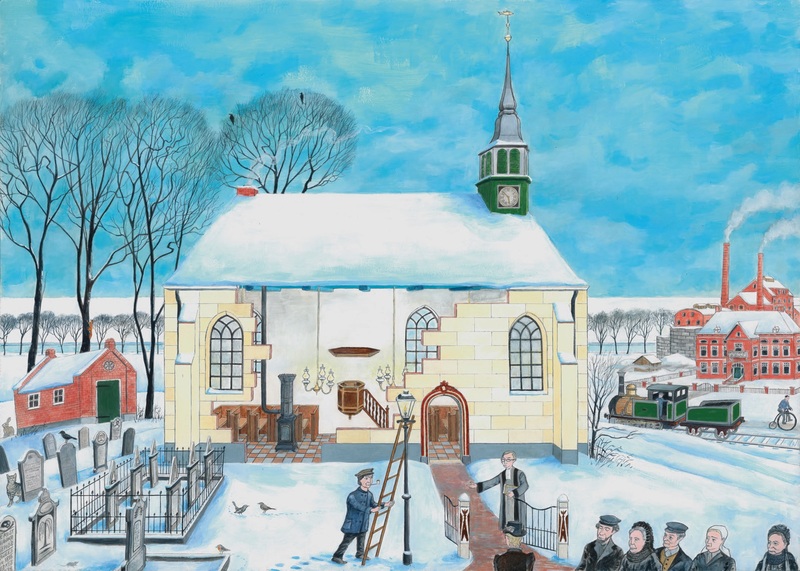 The original drawings of the book are part of an exhibition at the Ter Apel Museum titled ‘Church as a time machine’, which runs until the 17th of February 2019. More information on purchasing the book.